Students would be working on various research and development of new concepts and would be provided regular interaction with industry people for research work related to their area of specialization. 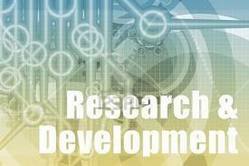 registered with Government of India for education development and focus on management research. The institute through distance learning, face to face and regular programs has been focusing on over all development of students for better career growth. The institute also provided courses in regular mode for students looking for better career in corporate world. Under regular mode students are put to ultimate corporate experience for better understanding of concepts and expertise them with practical implementation of strategies.